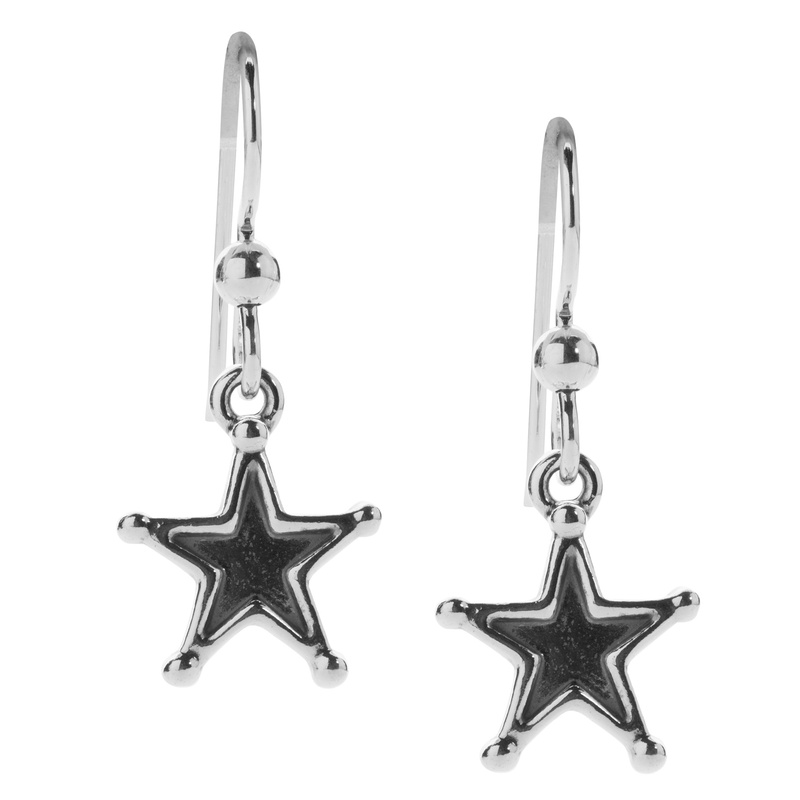 Sterling silver dangle star earrings. Measurement: 1-1/8″ long x 3/8″ wide. Designed and crafted in America.